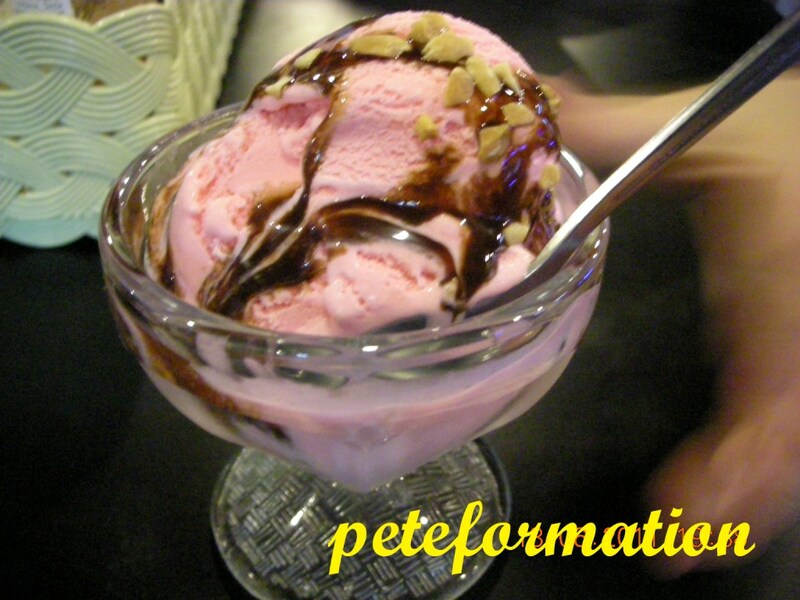 PeteFormation Foodie Adventure: STOLEN RECIPE Restaurant, Desa Aman Puri - Meal on BED? STOLEN RECIPE Restaurant, Desa Aman Puri - Meal on BED? 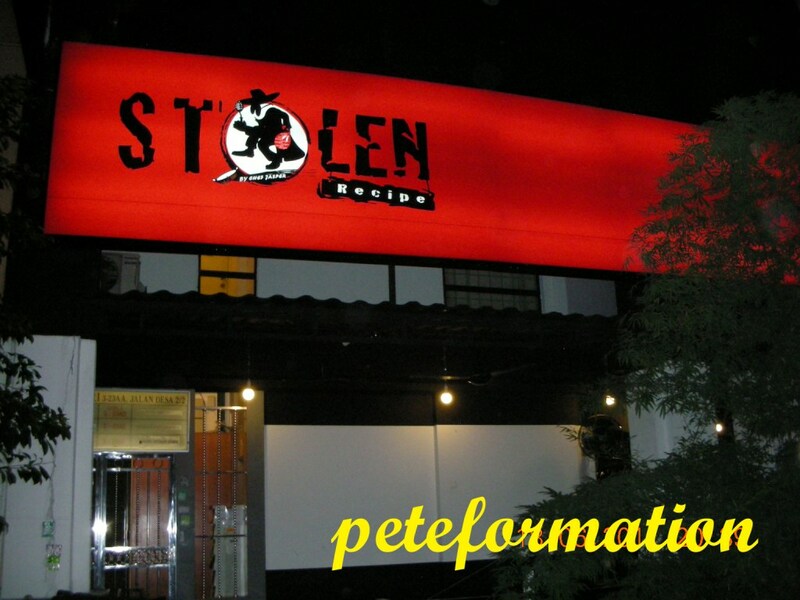 I must admit that it is the name of the restaurant, Stolen Recipe that attracted me to try out the food here. Although this is a place that youngsters like to hangout, the food here also cater for everyone in the family. So, it is quite usual to see families with little children and elderlies dine here. 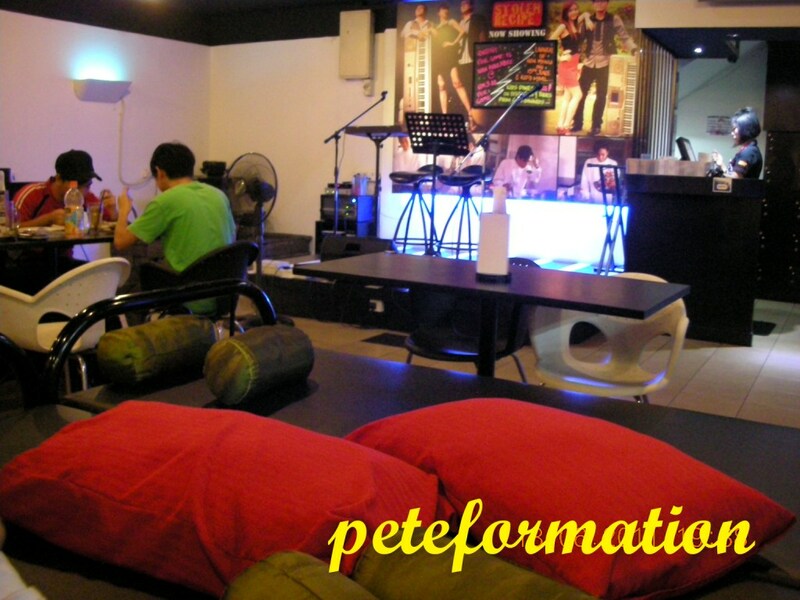 They have western fare and also local food like fried rice & char kueh teow. Anyway, Stolen Recipe is an interesting concept restaurant with unique setting! Jail liked grills and large metal chain with padlocks at the entrance. Notice the stage, bed, pillows and bolsters? You can have your meal served on bed! ha ha ha! There is unplugged performance by local artist at 9 pm. 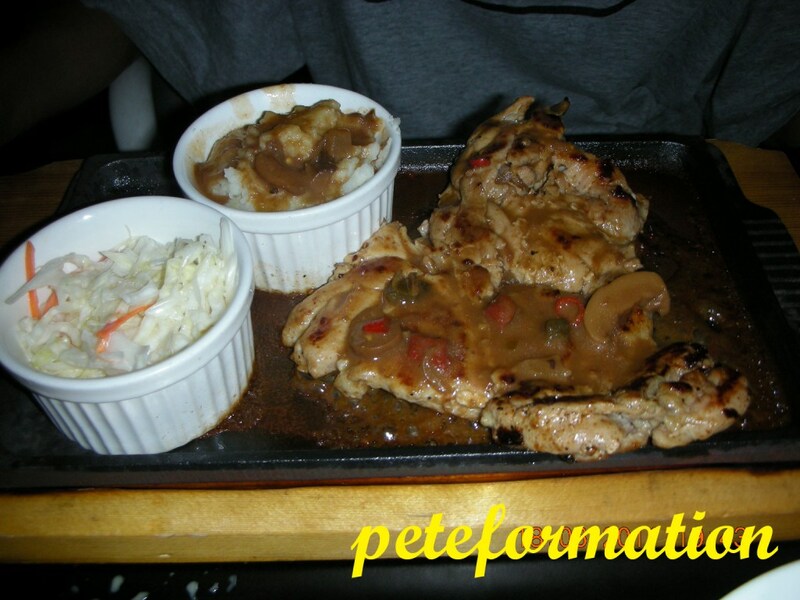 Grilled chicken chop with Capsicum sauce (RM13.88). 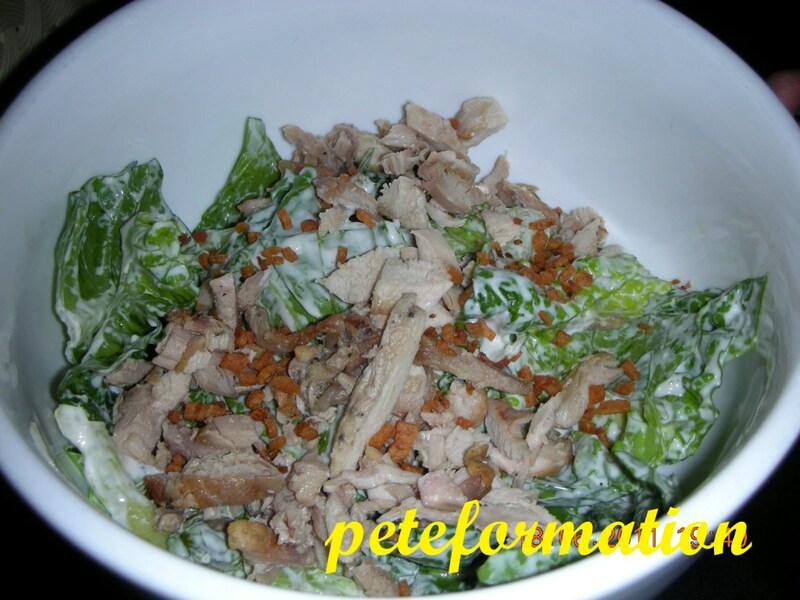 You can choose 2 choices of side dishes. My son says the grilled chicken taste quite good. I guess any meat would taste nice for him. 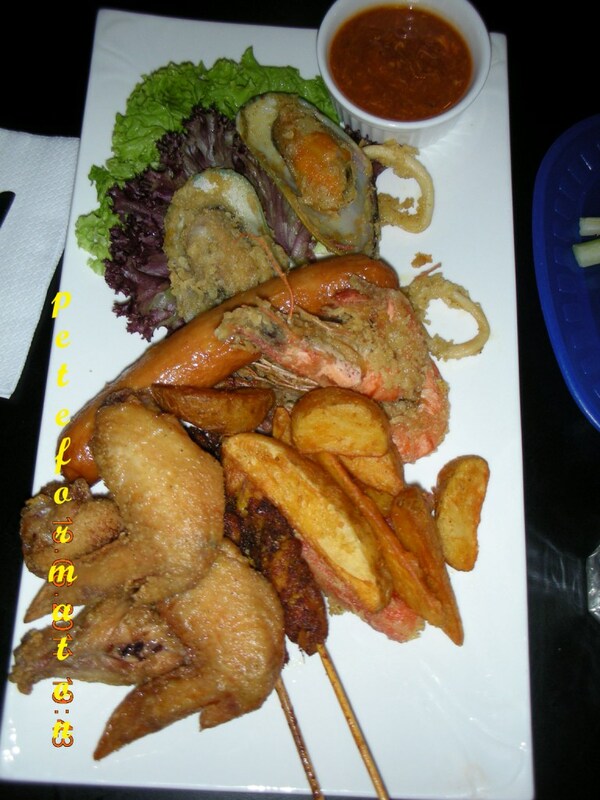 This is Jumbo Earthquake (RM19.88), a large dish consist of deef fried green mussels, tiny calamari, sausage, prawns, potato wedges, fusion satay and chicken wings. The salsa sauce taste good! I ate the fried food with Tabasco sauce. The fusion satay taste a little weird to me. 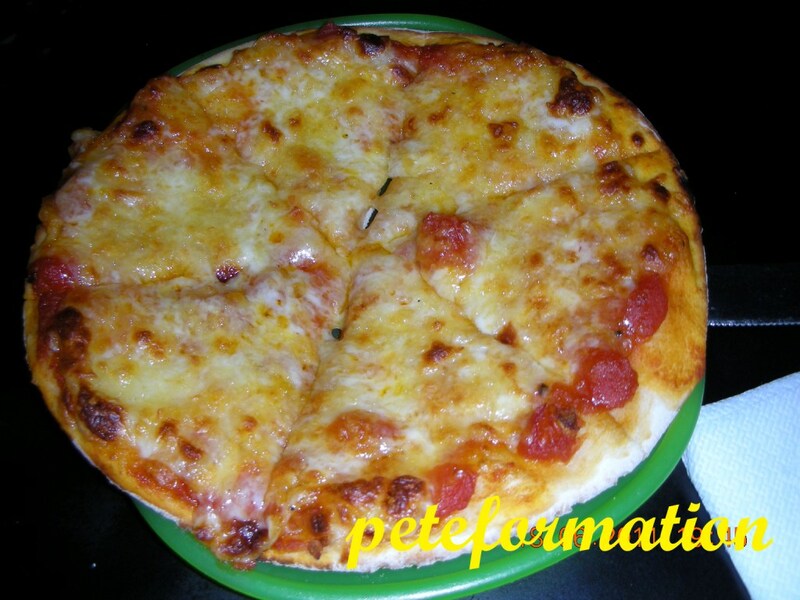 It was coated with flour and deep fried. 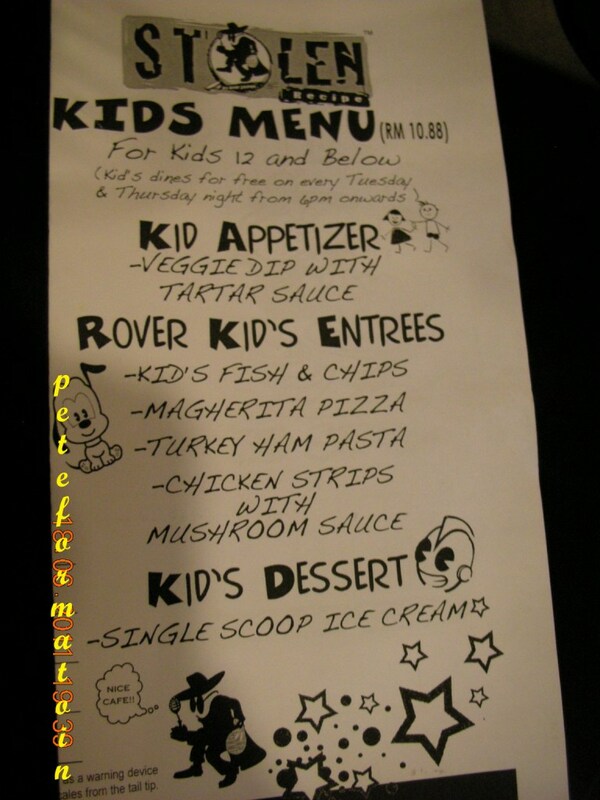 Since my daugther is below 12, she entiltled to order kiddies meal (RM10.88) which comes with salad starter with tartar sauce, 3 choices of Entrees and Ice Cream dessert. They served the ice cream first! I thought it is supposed to be for dessert. Maybe they want to keep kids quite.....LOL! 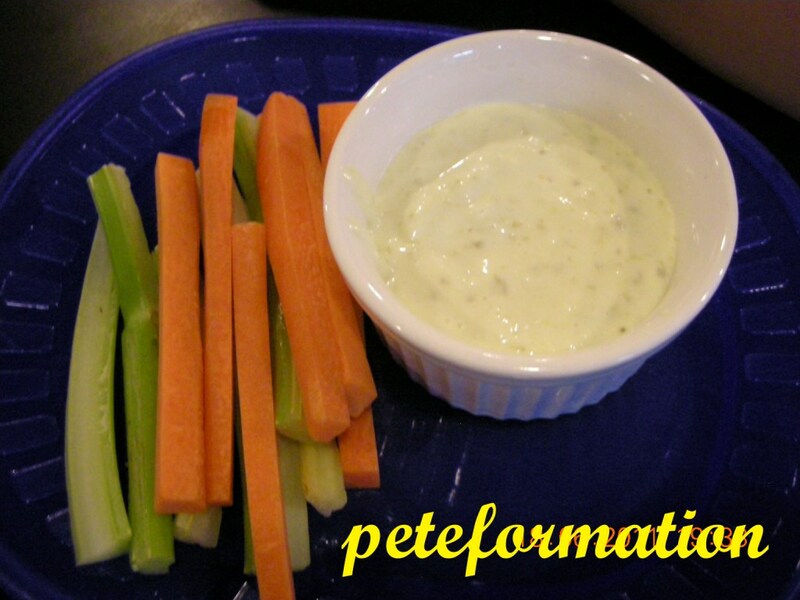 Kiddies meal starters, salad with tarter sauce. Plate from IKEA?....he he he! 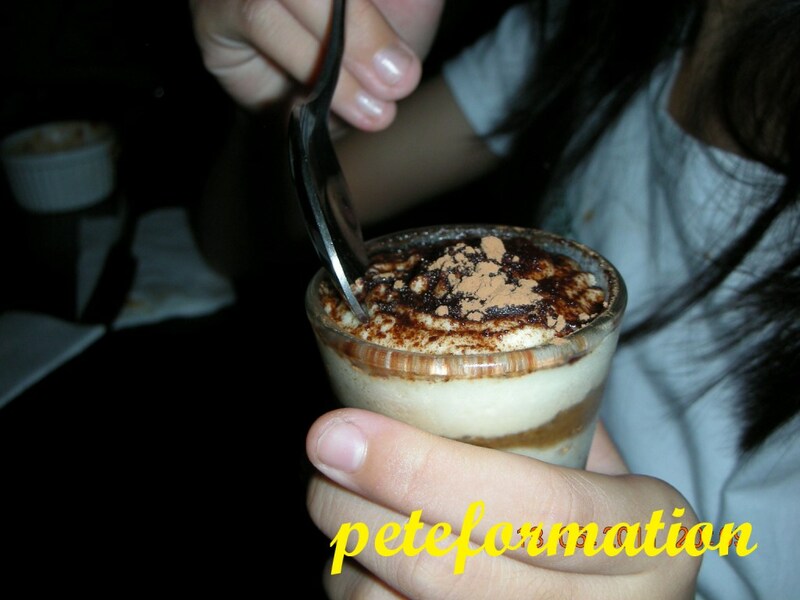 The ice cream portion was quite small so my daughter's had another dessert, Tiramisu (RM3.88). Wow, such an unique restaurant name! Another concept restaurant? These creative ppl always come up with bed, jail, toilet bowl, hospital utensils, etc for dining purposes .... ahaha! That menu looks like so much fun, I just love it. aah, i remember this place in one of your previous posts. did you manage to steal a recipe or two from them? Food looks good and ambience look nice. ahh...my office is near here but i haven't stepped foot inside this place :) looks interesting. Will check this place out, if we are around the area.